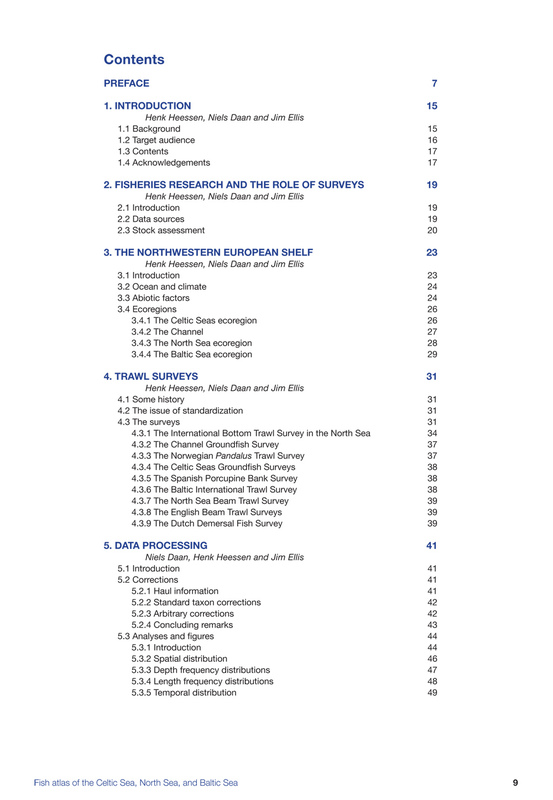 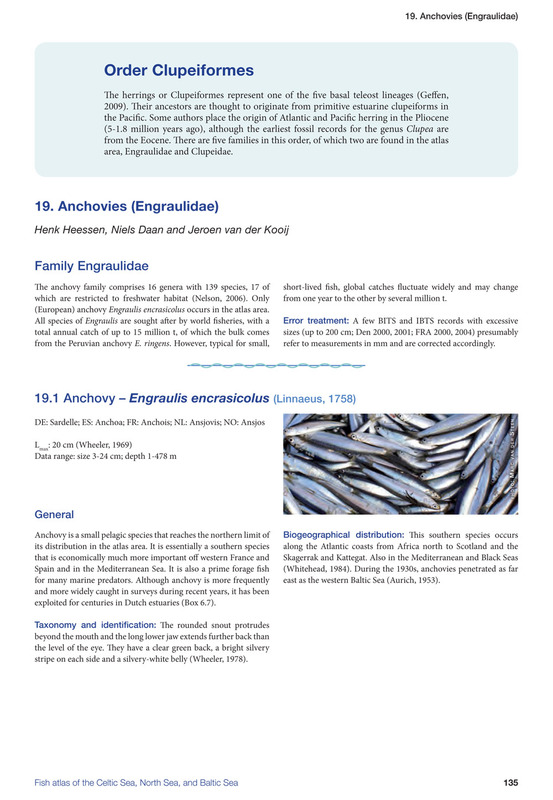 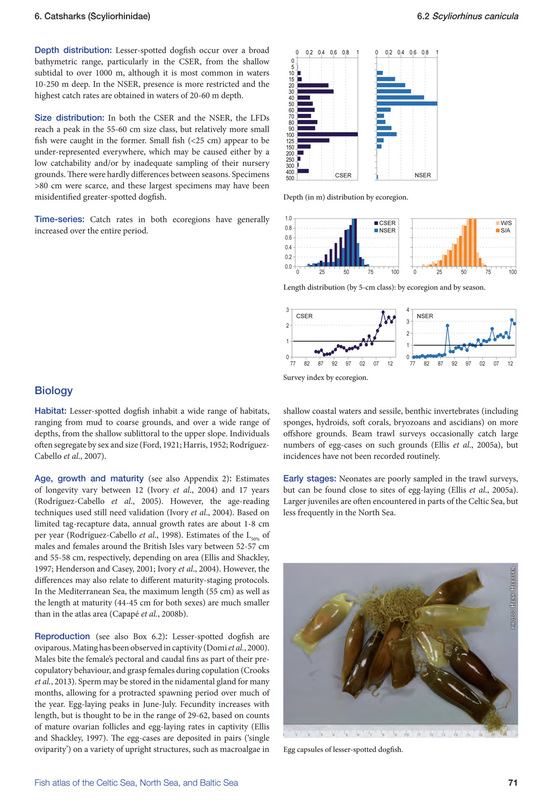 An in-depth reference work on marine fish, this is the first complete overview of all marine fish species found in the North Sea, Baltic Sea, and Celtic Sea. 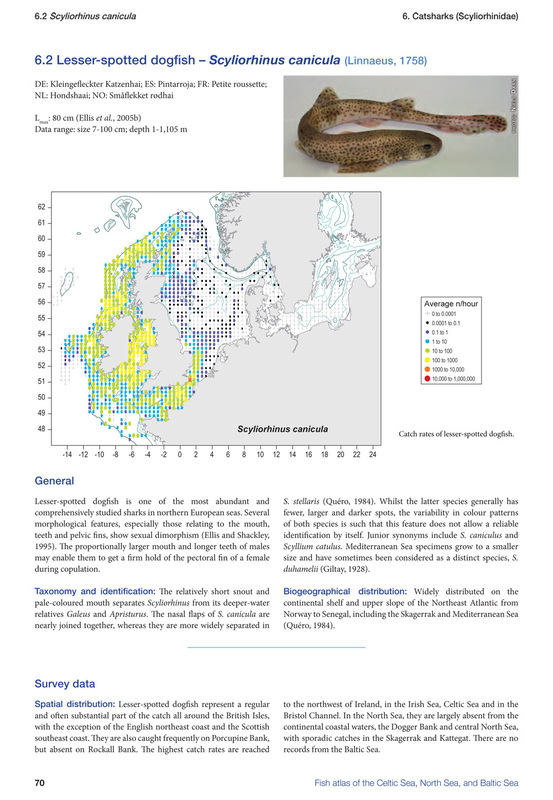 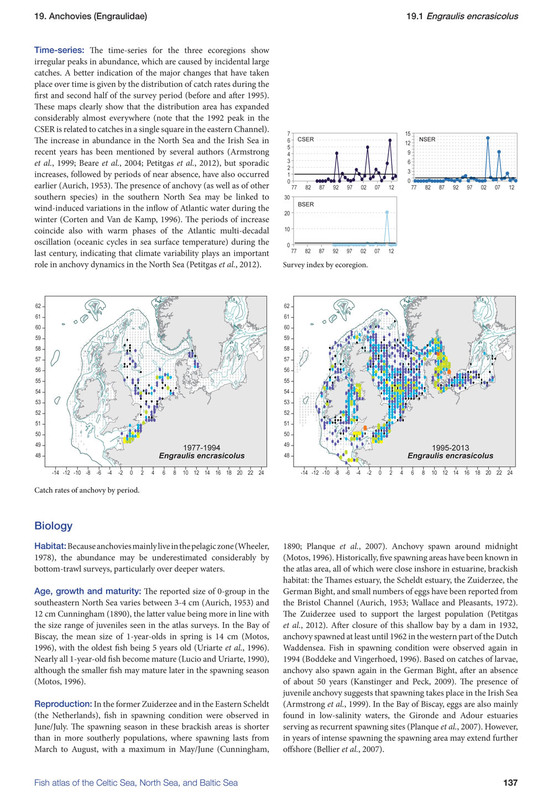 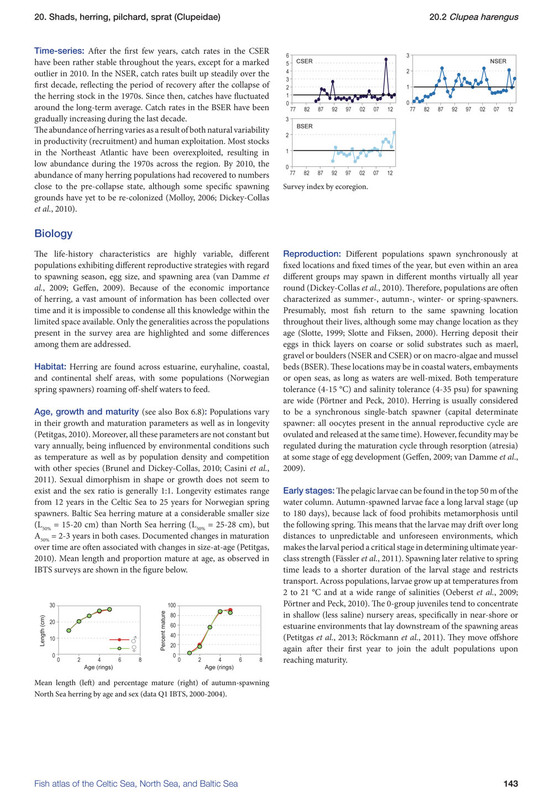 Whereas European research mainly focuses on species of commercial interest, Fish Atlas of the Celtic Sea, North Sea and Baltic Sea documents current data of all Western European fish species for the period 1977 to 2013. 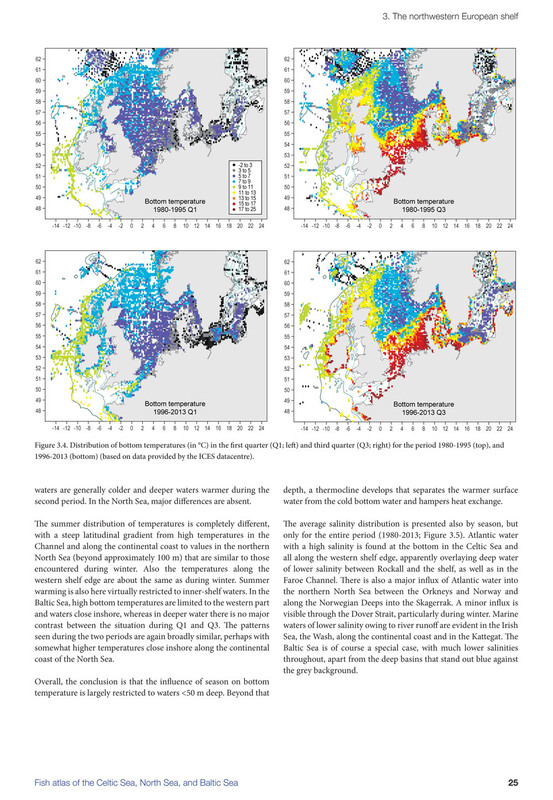 The atlas presents a unique set of abundance data to describe the spatial, depth, size, and temporal distribution of demersal and pelagic fish species over an extensive marine area, together with accounts of their biology. 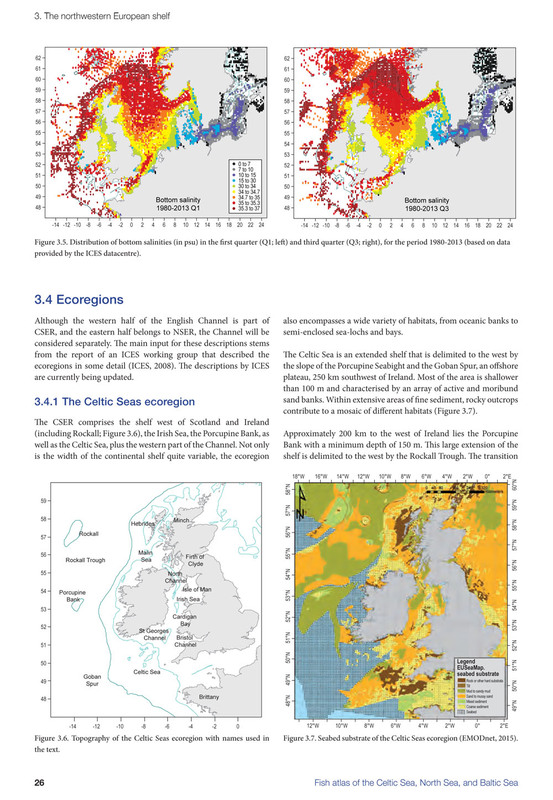 A large number of pictures, graphs and distribution maps illustrate the text. 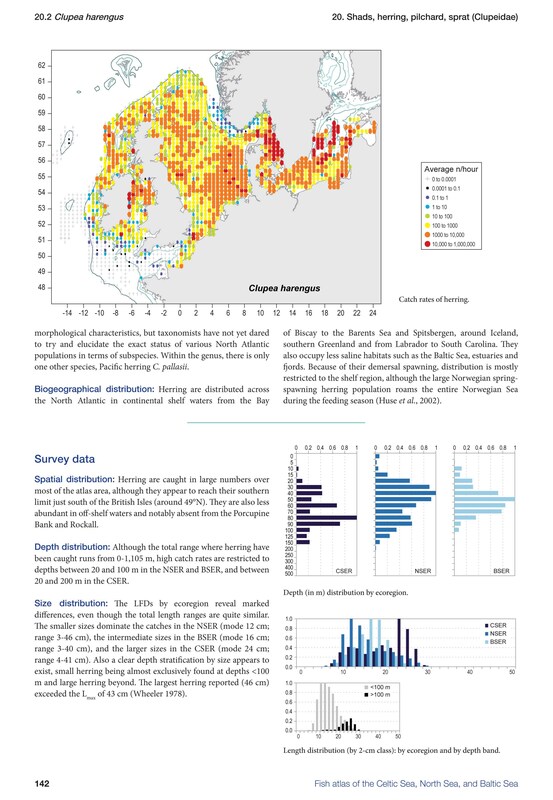 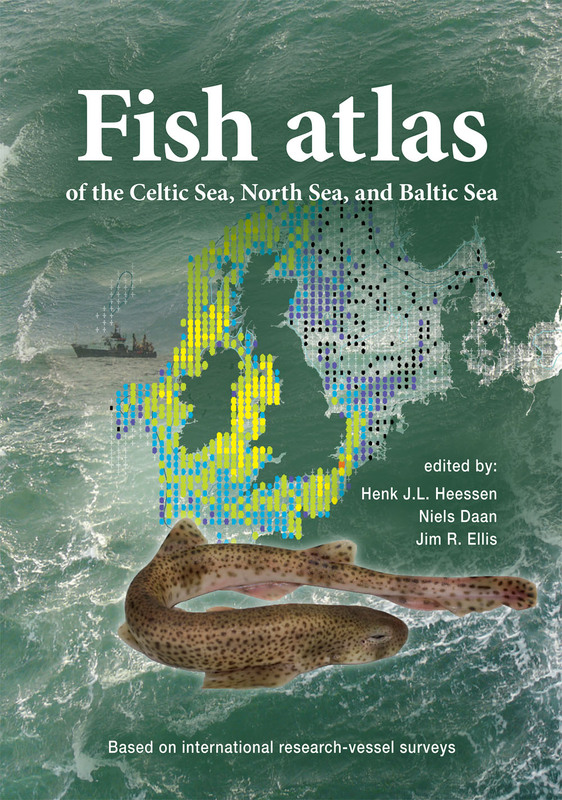 By largely avoiding – or at least explaining – scientific terms and providing extensive references, Fish Atlas of the Celtic Sea, North Sea and Baltic Sea should be useful for both laymen and scientists. 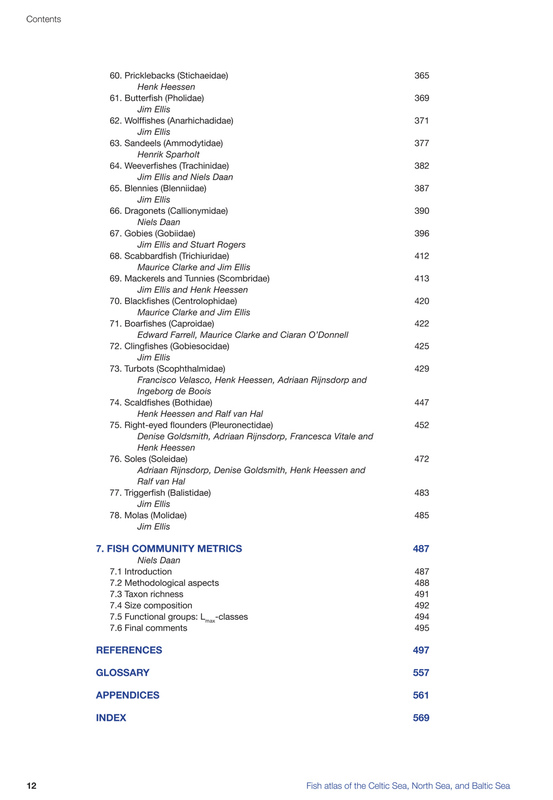 The quantitative information on some 200 fish taxa is derived from 72,000 stations fished by research vessels during the period 1977-2013. 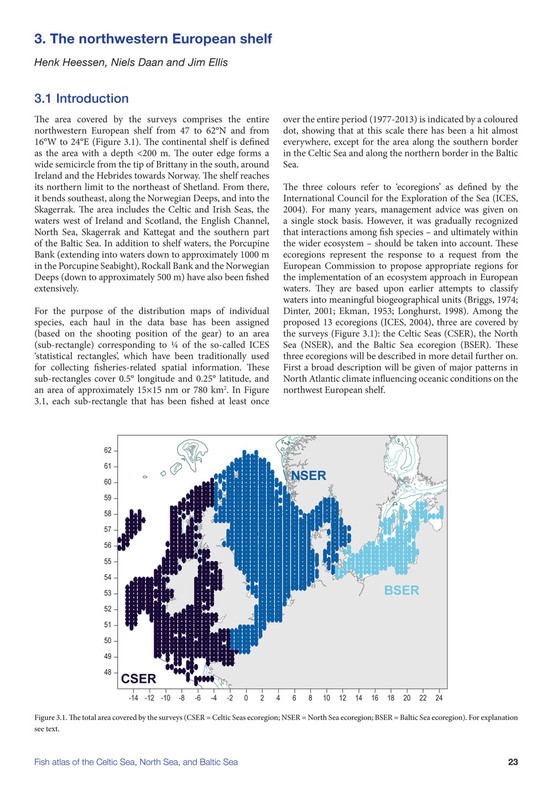 The area covers the northwest European shelf from the west of Ireland to the central Baltic Sea and from Brittany to the Shetlands. 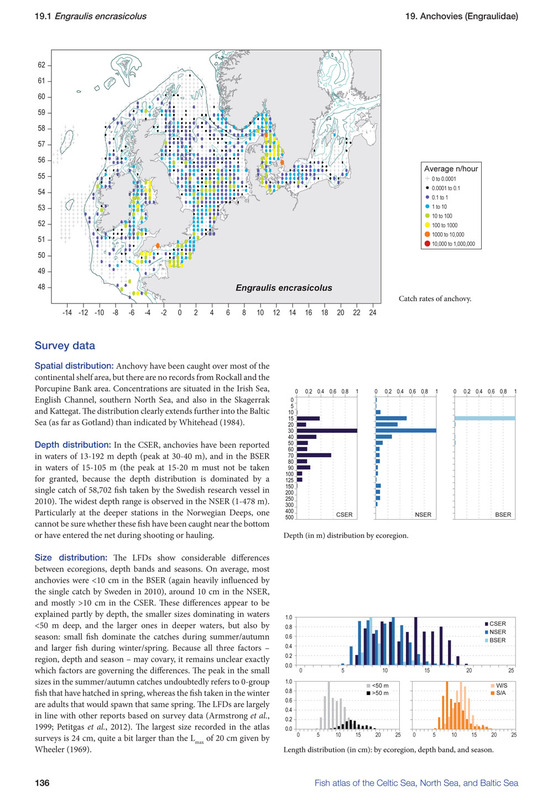 Although the surveys extend beyond the shelf edge, only taxa reported at least once in waters less than 200 m are included. 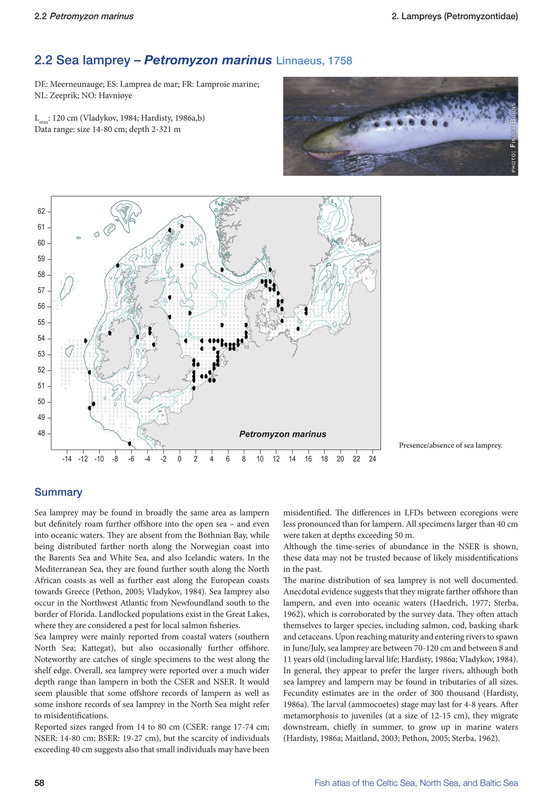 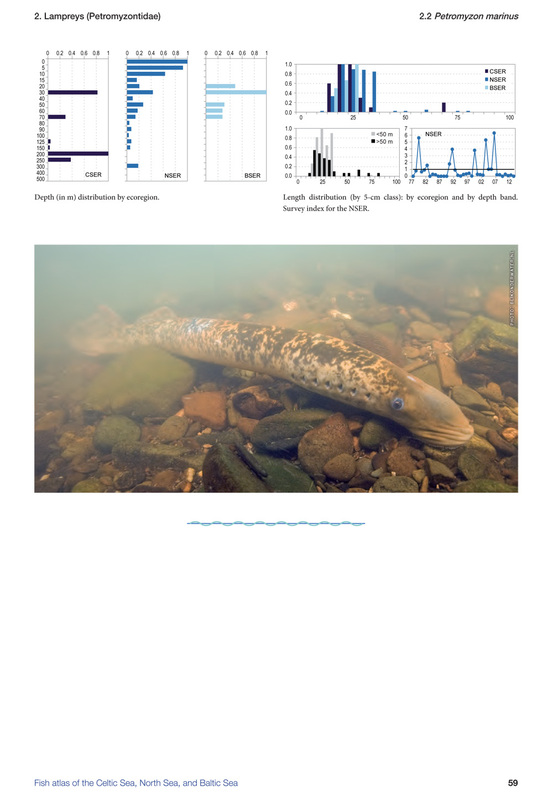 Typical deep-water species and typical fresh-water species are excluded. 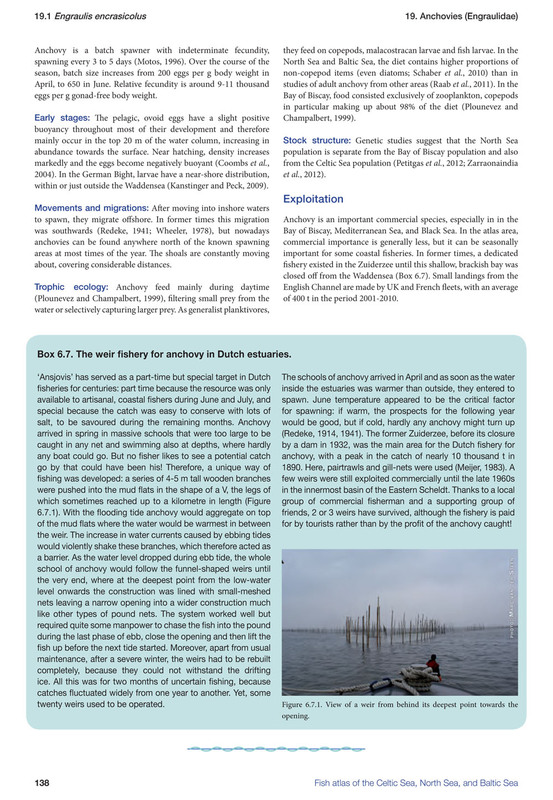 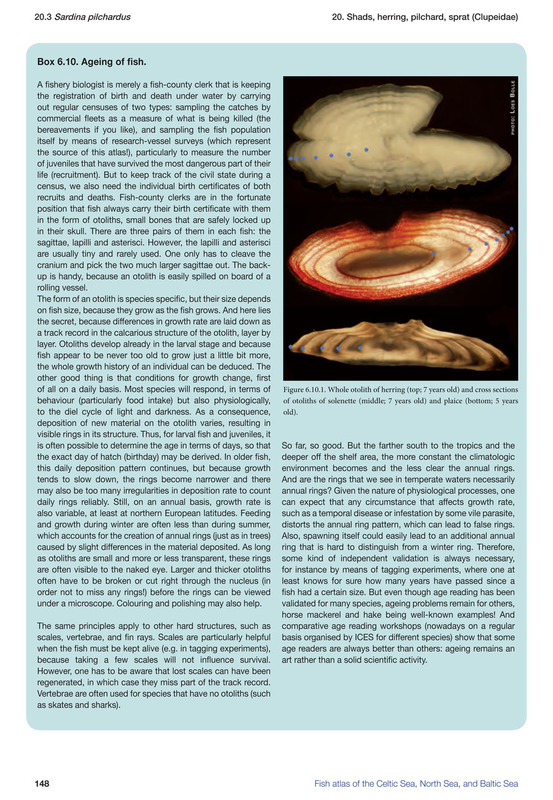 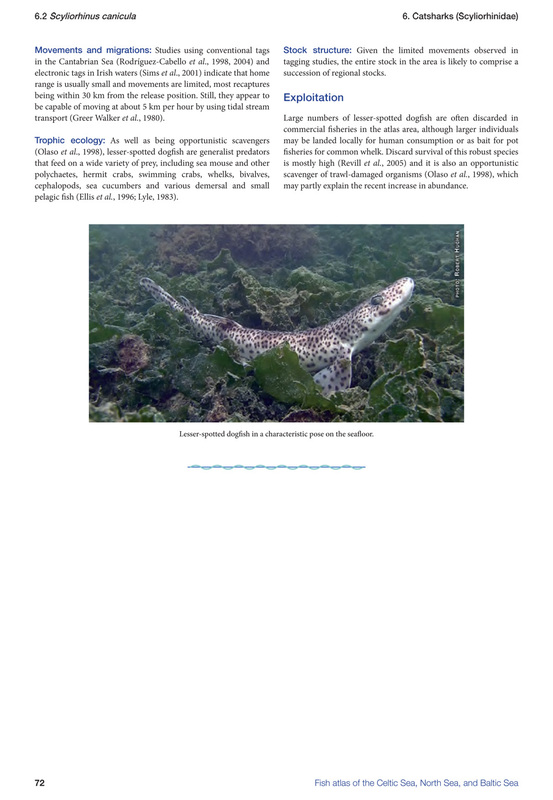 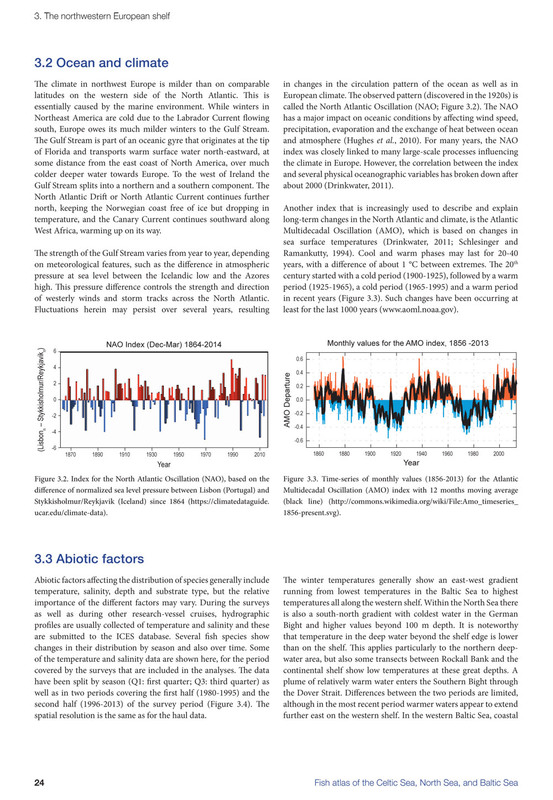 We hope this publication will contribute to gaining a better understanding of the ocean ecosystems. 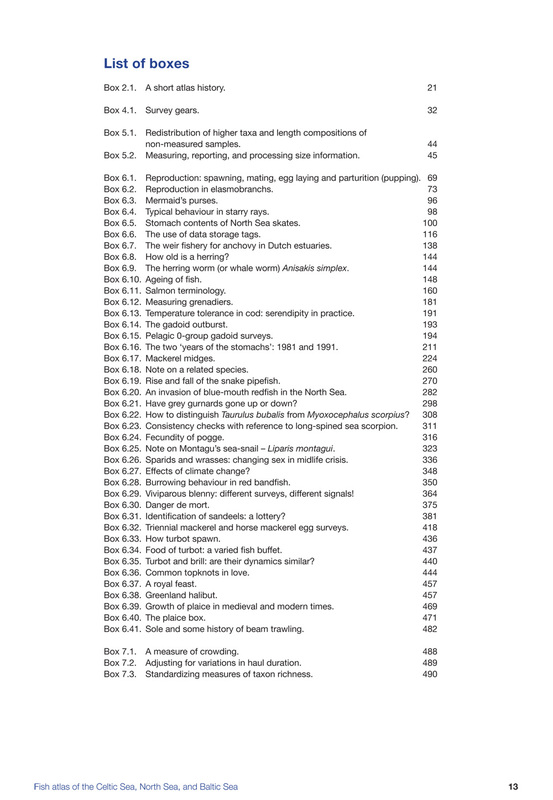 - 48 text boxes to describe additional details of general interest. 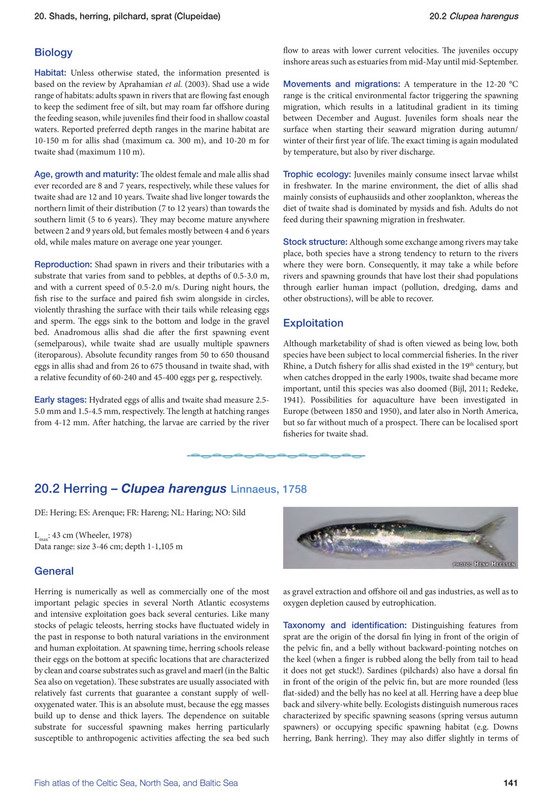 Dr. Henk Heessen and Dr. Niels Daan are experienced marine biologists (IMARES Institute for Marine Resources & Ecosystem Studies, Wageningen UR, The Netherlands), as well as Dr. Jim Ellis (CEFAS, UK). 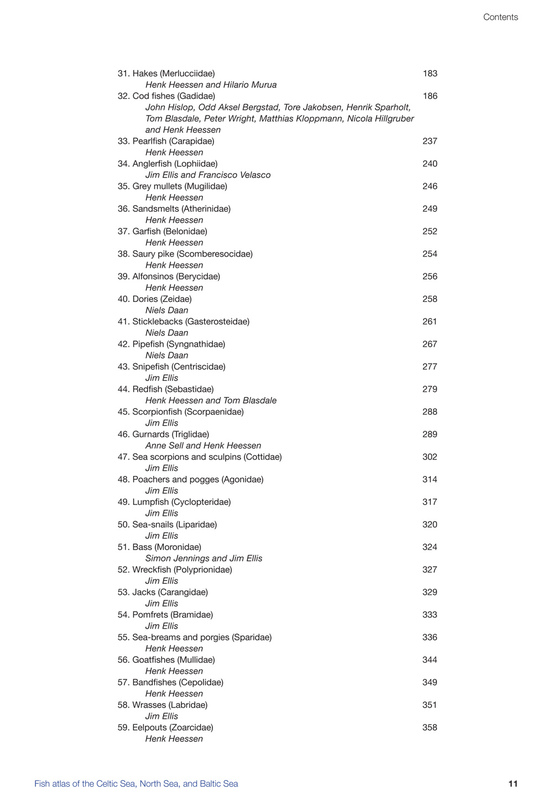 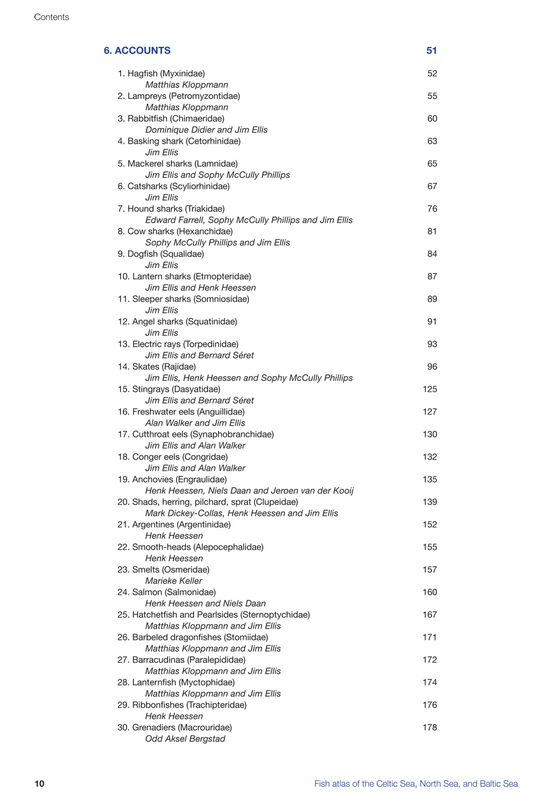 25 international colleagues contributed to the contents.